One element of standard precautions has come under intense scrutiny in recent years: The reprocessing (cleaning for reuse) of medical devices. The proper cleaning of these devices involves complex protocols to ensure infection prevention, protocols with critical steps - from design to storage- that, if not followed, lead to dire, if not fatal, results. Today’s post will explore medical device reprocessing, who regulates them, and some recent outbreaks associated with cleaning lapses or design flaws. Every hospital operates under “standard precautions” against infection. This basic level of infection control is to be used at all times for all patients to reduce the risk of transmission of germs including bacteria, viruses, fungi, and other microorganisms. Not only do these precautions protect the healthcare worker from infection, they protect other patients by reducing the risk of transmission. Today we’ll explore these precautions. Future posts will cover how lapses in compliance put patients and healthcare workers at risk, and what you can do as a patient or patient advocate to ensure that the rules are followed. 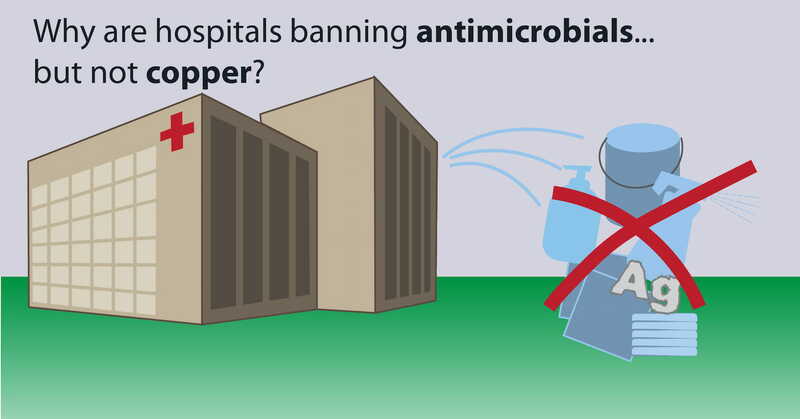 Why are hospitals banning antimicrobials, but not copper? A few years ago, the first rumblings were starting over the use, and possible overuse, of antimicrobials in interior furnishings and materials. As Medicare pressures made the need for improved infection control practices become urgent to every hospital, materials manufacturers from flooring to ceiling tiles began producing new lines of “antimicrobial” products. Everything from paint to carpet to caulk to privacy curtains suddenly were infused with chemicals purporting to give these materials antimicrobial properties. But as researchers began to look into the effect of these products, one thing became clear: There is little to no evidence that these chemical additives have a positive impact on infection, and may in fact present a risk to the health of hospitals staff and patients. But one type of product was singled out as specifically not being banned: The use of copper-infused materials. First, why are these hospitals banning antimicrobials? And second, why are they specifically not banning copper? This series on outpatient services and infection control can seem rather dismal. Thankfully, most outpatient facilities are safe and only a small percentage of patients experience an HAI. Nonetheless, the breaches in infection control mean that given the right circumstances, severe outbreaks can (and do) take place. The reality can make us feel powerless and confused. Fortunately, there are things that we can do to help. So far in our series on infection control in ambulatory care settings, we covered the types of facilities and how they are regulated. One huge topic to cover is the impact of the outpatient setting on the ability to track infections. 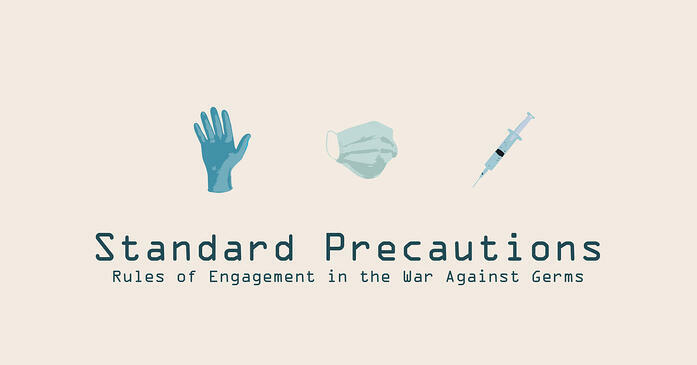 Today’s post will begin to explore this topic, and our final post will present what we can do, both individually and collectively, to begin to improve infection prevention in these facilities. We don’t know enough about infection in ambulatory care centers. 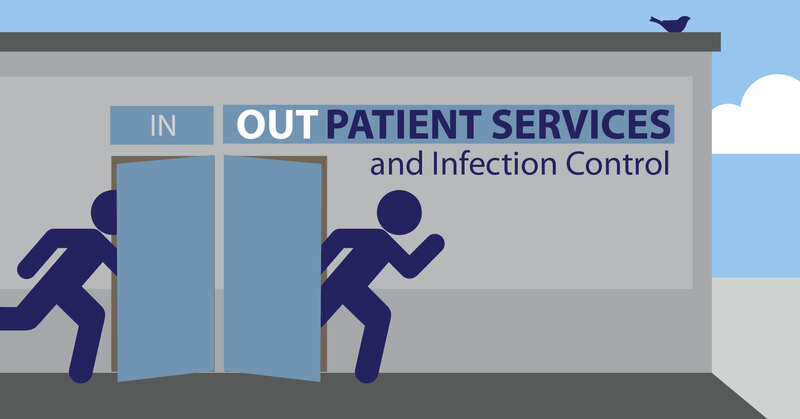 Outpatient Services and Infection Prevention, Part 2: What is ambulatory care? Any kind of medical treatment received outside of a hospital admission is considered ambulatory care, or outpatient care. This category of healthcare is growing very quickly; in fact, it is the fastest growing health care market in the US! Outpatient services are growing in popularity for two main reasons. First, they are less expensive than hospitals, which have much higher overhead costs. The second reason is that medical improvements have made outpatient services far more practical. The quality of home health care through technology and nursing services allow patients who would have had to be in a hospital receive the necessary care at home. Up to 75% of surgical procedures in the US take place in the more than 5,000 outpatient surgical centers. (There was a 300% increase between 1996 and 2006, the last time a survey was made. More on that in our next post.) Add to this the number of scans, tests, dialysis sessions, chemotherapy treatments, and other procedures and you begin to see the vast numbers of individuals receiving medical care at ambulatory care facilities. As more and more of us choose these outpatient services for increasingly complex procedures, it is all the more important to learn about this critical area of health care.